After the Universitée Internationale du Théâtre (direction André- Louis Périnetti) where she participated in several workshops and shows and where she forges links with artists from different continents -with whom she remains in contact until today, she continued her career path as an actress working with Ariane Mnouchkine, Jacques Lasalle and Pierre Debauche. Meanwhile, she studies and researches at the Institut d'Etudes Théâtrales (University of Paris 3 Sorbonne nouvelle) under the direction of Bernard Dort around the theatre in Latin America, where she stayed several times. Series of articles on this subject were published in diverse reviews in France, Colombia, and United States. 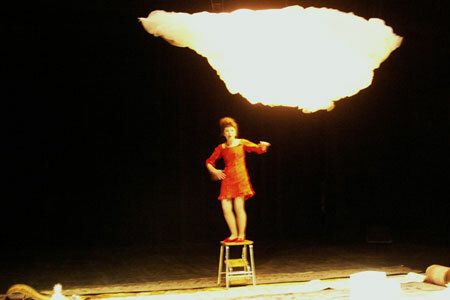 Co-founder of T.A.T., while continuing to play, she lays the groundwork for a new course that combines writing and directing notably with the shows : The Thunderbird , Paris and Carthage Festival (1980), the triptych Visions , scenography by Kays Rostom, first produced in CAC Montbéliard and represented more than 200 times in France (1981-1983) including the Avignon Festival, the Lucernaire Teatre in Paris..., The host a short story she adapted from Albert Camus, first produced in Ivry Theatre then in Saint Cyr l' Ecole Theatre, in Vanves Theatre (1987 )... She began pedagogical activities in the form of theatre workshops for young people in disadvantaged areas that will developuntil 2012 (acting exercises, improvisation, building a character, creating texts ...). From now on Anne Petit dedicates herself mainly in the staging. In the following creations she asserts her interest for the original musical compositions, her links with composers-musicians such as Dominique Probst,Ramon Herrera and engages in an actor training's work during theatre workshops AFDAS she runs regularly since 1993 (The interpretation and the words, actor and character's tempo from the works of Racine, Claudel, Corneille, Proust...). Andromache by Racine, music by Dominique Probst Theatre 13 in Paris, Festival of Sarlat (1991), Integrates the work on the structure of the language which she will continue deepening in her later creations and during training workshops. Navigations by Sophia de Mello Breyner from a collection of poems of the same title, music by Dominique Probst music for piano and opera singer –soprano, first produced in Lisbon (1992). A co-production T.A.T. - National Commission for the Commemoration of the Portuguese Discoveries, with the participation of the Calouste Gulbenkian Foundation, the Oriente Foundation, the Cultural Service of the Embassy of France in Lisbon, Institut Franco-Portuguese Lisbon, Teatro da Trindade-Inatel and Radio Renascença. By the Tagus... from different texts by Sophia de Mello Breyner and Maria Judite de Carvalho, first produced in the Centre Dramatique National de Bordeaux-Aquitaine (1993), music by Dominique Probst and Ramon de Herrera, then performed in Paris and surrounding. As part of the Academy of Culture Centers Europeans, she leads a theatre workshop in Italy addressing young people from several nationalities: French, Italian and Dutch at the Passarelli Foundation in Salerno(March-April 1995). Now we found each other again by David Mourão-Ferreira music by Bevinda and Ramon de Herrera. 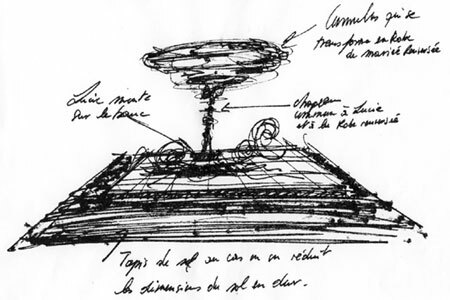 First produced in Paris then in the surroundings (1997-1998) with the support of the Institut du Livre (Ministry of Culture, Lisbon), the Institut Camoes (Lisbon), the Institut de Soutien aux Communautés Portugaises (Lisbon), the CCPF, the cercle des amis d'Arte and ADAMI. By the Tagus II from texts by Sophia de Mello Breyner, Nuno Judice, Maria Judite de Carvalho, music by Ramon de Herrera, first produced in Paris then in the surroundings (1999-2000) with the support of the Ministry of Culture : DRAC Ile de France and Centre National du Livre. Exceptional performance Musée Maillol-Fondation Dina Vierny within the frame work of the painting exhibition Vieira da Silva, texts by Sophia de Mello Breyner and Nuno Judice(June 1999). Fragments of a glance by Sophia de Mello Breyner, Maria Judite de Carvalho, music by Dominique Probst and Ramon de Herrera. First produced in Paris then in the surroundings (2000). By staging Antigone by Sophocles in the 4th Rencontres de Théâtre in Haute Corse (ARIA) directed by Robin Renucci, Anne Petit approaches the antique tragedy, mingling more intimately training and staging, in particular as regards the chorus,the work on languages'mixt (international participants), the original musical composition by Nando Acquaviva from Corsican polyphonic singing (July -August2001). Directing Tragedies, splinters from fragments of The Aeneid by Virgile and fragments of Andromache and Berenice by Racine. 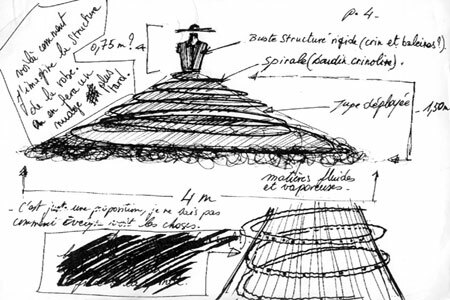 First produced as a part of Journées Théâtrales de Carthage with the support of the Embassy of France in Tunis (October 2001). Participation as a part of Journées Théâtrales de Carthage (October 2003) with staging an exceptional performance from songs of Now we found each other again by David Mourão-Ferreira and directing a theatre workshop from Antigone by Sophocles for the students of the Institut Supérieur d'Art Dramatique in Tunis. 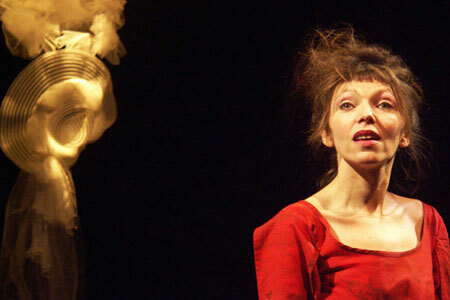 As a part of "Théâtre en découverte" organized by the Théâtre de l'Est Parisien (TEP) in Paris, Anne Petit directs the reading of fragments from Lucie or the fine word of the story by Luc Tartar (June 2005) and stages the all play Lucie or the fine word of the story in a co-production T.A.T., ECAM Theatre in Kremlin-Bicêtre with the support of "aide à la création" of the Conseil du Val de Marne. 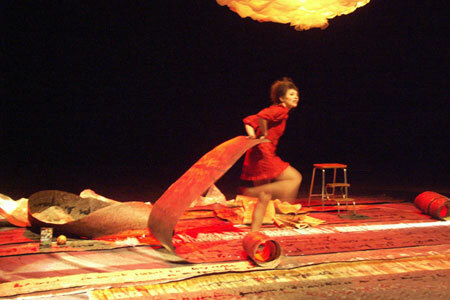 First produced in ECAM Theatre, then in Theatre of Arras (March 2006). Acting and directing the Récital de textes Life and dream from different texts by Maria Judite de Carvalho, music by Ramon de Herrera, Daniel Romero (guitar) and the participation of Jose Manuel Esteves. First produced in Gulbenkian Foundation in Paris (November 2009)as part of an International Colloquium dedicated to the author. Directing Opium à bord from the poem of Fernando Pessoa, translated by Armand Guibert, Editions Unes, music by Bevinda with Bevinda (singer) and Gilles Clément (guitar). First produced in Villeurbanne (December 2009), tour with f2fmusic, Gulbenkian Foundation (February 2011), Theatre Sentier des Halles in Paris (November 2012). Coach of a young theatre company C.U.T. on the mounting of 4.48 Psychose by Sarah Kane, Paris, Montreuil (November-December 2010). Directing a theatre workshop AFDAS The words' music Paris (November 2011). Participation in a performance with Ali&Cia, Madrid (June 2012). Acting and directing the Récital de textes Time's Side slips from unpublished texts by Maria Judite de Carvalho The idolaters recently translated into French by Marie-Hélène Piwnick, published by Editions La Différence. Music by Ramon Herrera interpreted (guitar) by the composer, Gulbenkian Foundation, Paris (December 2012).